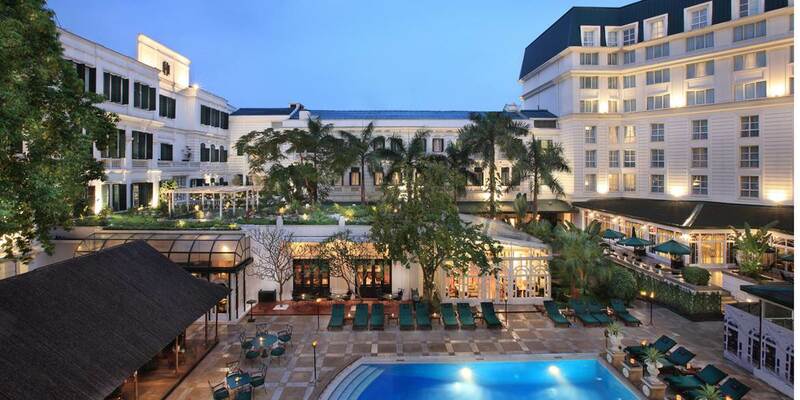 In the heart of the old French Quarter in Hanoi, the capital city of Vietnam, just steps from the Opera House sits the Sofitel Legend Metropole, the first official five star hotel in Vietnam. 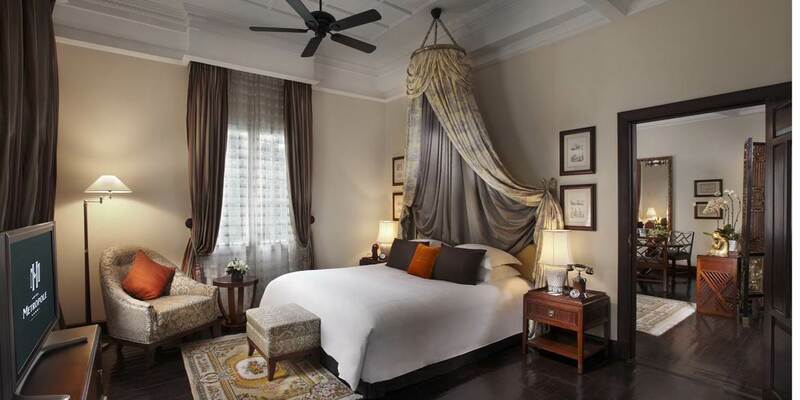 This beautiful hotel with its classical white façade, green shutters and original wrought iron detail is truly the Grande Dame of Vietnam, a heritage property with a rich history. The French influence of its colonial past is evident here in Le Beaulieu, one of the city’s most famed restaurants. This contemporary haute brasserie is where patrons come to savour not only authentic French cuisine, but also family recipes and the famous Sunday brunch. Angelina’s is the place to eat authentic Italian food prepared with a modern twist and after 9pm a live DJ will add to the atmosphere. A visit to Hanoi would not be complete without tasting the exotic flavours on offer at Spices Garden where the chef prepares local specialities using a wide range of spices, herbs and seasonings. Offering inside and courtyard dining it is the perfect setting on a warm evening. The three bars complement the restaurants with Le Club offering legendary cocktails and a sumptuous menu which features a delectable chocolate buffet. On warmer days enjoy ice cream fruit juices, the Metropole tea collection and light snacks at Bamboo Bar next to the pool. For the ultimate people watching experience La Terrasse is hard to beat. Inspired by famous Parisian cafes, with tables on the pavement outside, it is the place to watch Hanoi go by. Enjoy drinks and delicious pastries while observing the romance of couples having their wedding photos taken. Situated where it is the hotel is the perfect place from which to experience Hanoi. Open the shutters in the morning and be amazed to see the pavements transformed as locals start their day with a game of badminton. See the Old Quarter and its narrow streets filled with shop and markets, walk round Hoan Kiem Lake where early birds practice Tai Chi. The hotel has witnessed much over the years and a tour of the hotel by the resident historian should not be missed. Hear about the famous people who have graced the hotel over the years, from Royalty to Heads of State and from famous actors to the latest pop stars. See the bomb shelter, a relic of the Vietnam War buried underneath the swimming pool and most recently used as a wine cellar by the Australian Embassy and only discovered during recent renovations. After a day of sightseeing relax by swimming in the pool or entering the calm sanctuary of the Spa where rituals combine east and west using the highest quality ingredients. The 364 rooms and suites are divided between the Neo Classical style of the Opera Wing and the Finest Heritage style of the historic Metropole Wing. The Luxury and Grand Luxury rooms of the Metropole wing reflect the era when the hotel was first opened with polished wooden floors, elegant furniture, marble bathrooms and tall windows which at night are closed with the famous green shutters. For true luxury in legendary style choose one of the three grand suites which are called Somerset Maugham, Charlie Chaplin and Graham Greene after these famous names who stayed here. 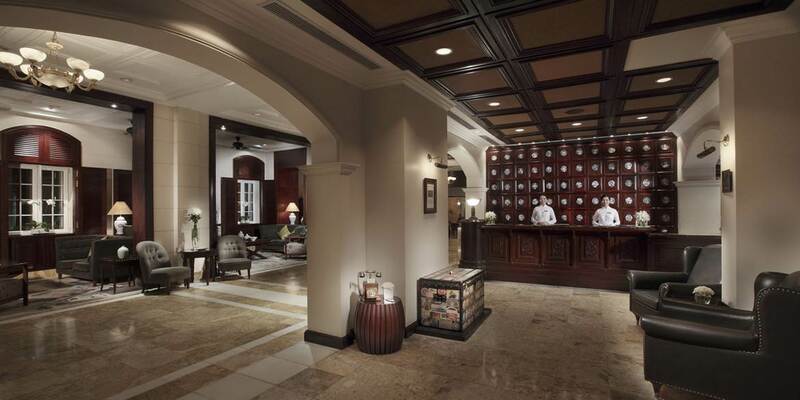 Those who prefer more modern surroundings will be more than satisfied with the rooms and suites in the Opera Wing. Also, for those on business trips, or who need to keep abreast of their business developments whilst away can take advantage of the hotel’s excellent business facilities. The hotel offers high speed internet Wi-Fi in every room and communal areas and a business centre complete with support staff which is open from 7am until 11pm. There are mobile phone hire facilities, fax machine, photocopying and printing services as well as dry cleaning, ironing and porter services all available to guests at no extra charge. Secretarial services such as typing and translation and interpretation are also available at an extra cost.